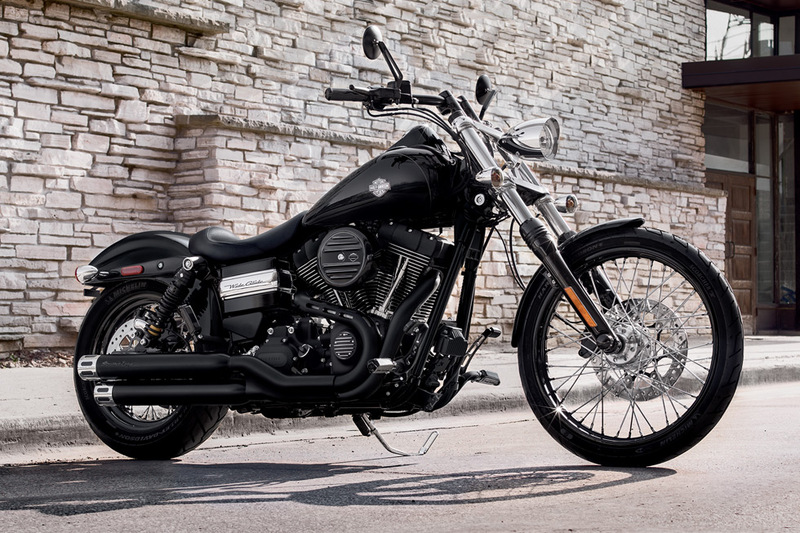 The Harley-Davidson® Wide Glide® is a big, bold part of the Harley-Davidson® Dyna lineup. With classic chopper style, there’s nothing like the Wide Glide® when it comes to authentic easy-rider look and performance. If you’re hungry to live out your dreams of riding the highways on a 70’s style chopper – maybe with some flames painted on the tank? 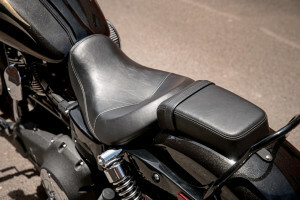 – then the Wide Glide® is what you need. 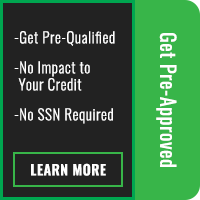 Find out more here at Rawhide Harley-Davidson®, your dealer for Overland Park and Lenexa, Kansas. 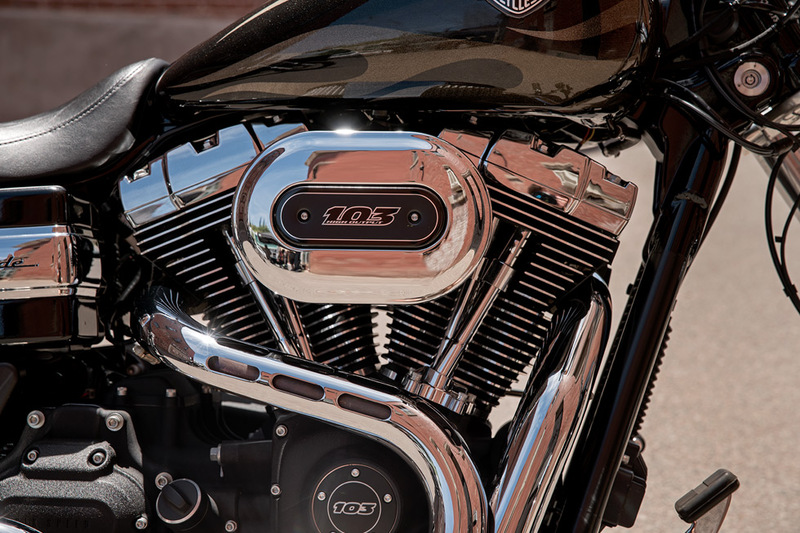 The beating heart of the Wide Glide® is the Twin Cam 103™ V-Twin engine that cranks out all the power you’ll want and delivers the iconic Harley-Davidson® exhaust note you love. 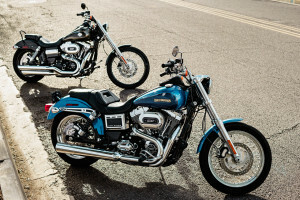 High Output Twin Cam 103™ The Wide Glide® comes standard with the famous Twin Cam 103™ V-Twin engine that delivers modern performance and reliability in a traditional, air-cooled V-twin package. 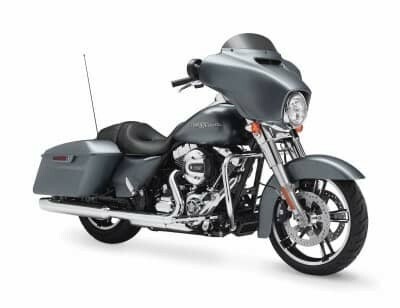 High Output Twin Cam 103™ Engine Power: Contemporary features like Electronic Sequential Port Fuel Injection helps provide lively throttle action, and the low-end torque offered by this big v-twin can get you up to speed in a hurry. It’s the kind of big power you want when passing, merging, or just getting out of town. High Output Twin Cam 103™ Engine Innovation: Lightweight and strong components help this engine provide more power, reliability, and efficiency. Light alloy pistons and heads not only keep weight down but manage heat better. Pure Harley-Davidson® Styling: This powerful engine doesn’t skimp on style either with its distinctive chrome air-filter cover, rocker covers, and machined cooling fin tips. Six-Speed Cruise Drive: Thanks to a smooth, easy to shift, six-speed Cruise Drive® transmission, you’ll love shifting through the gears to reach that tall, quiet cruising speed. 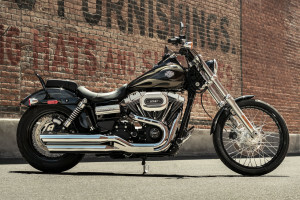 The Wide Glide® is a classic, old-school styled bike with plenty of distinctive features that are sure to turn heads. 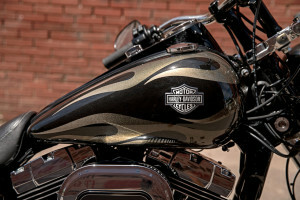 Drag Style Handlebar: Grab ahold of those fat, wide, swept back handlebars, and you’ll be instantly transported back to the glory days of chopper culture. Internally routed 1 ¼-inch bars with tall risers provide a minimal look and plenty of leverage for confident handling. 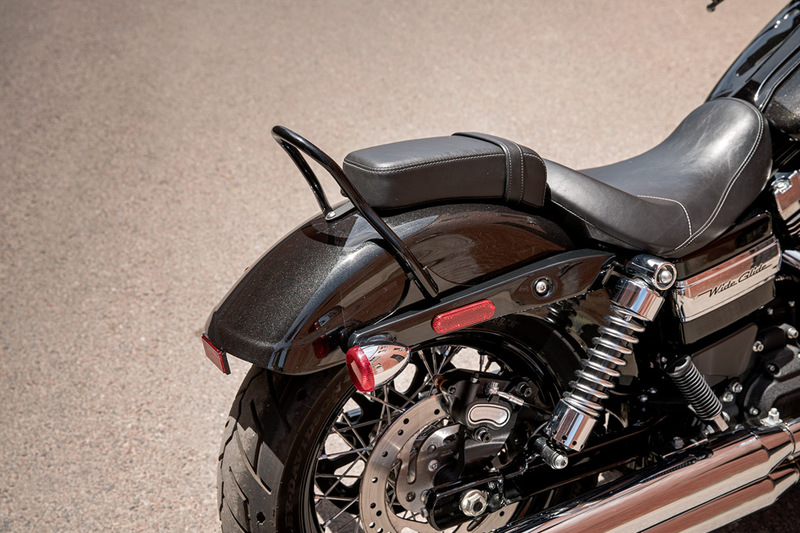 Rear Fender Styling: Out back, the Wide Glide® gets clean style with a short chopped fender, a side-mounted license plate, and minimal three-in-one stop-turn tail lighting. Optional Tank Flame Graphics: The Wide Glide® can be outfitted with a nostalgic, 70s inspired flame design applied at the Harley-Davidson® factory or a sleek, low-profile Vivid Black. 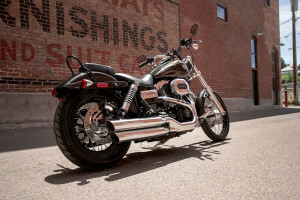 Oversized Wide Forks: The Wide Glide® offers a big, beefy, oversized fork that’s raked out for that long stance. A beefy triple clamp provides an aggressive look and plenty of stiffness for confident handling. 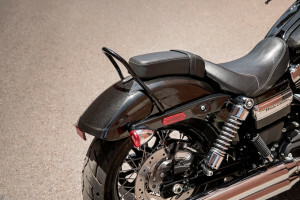 Sissy Bar: In back, the Wide Glide® gets a black wire form sissy bar that gives either a place for a passenger to grab on or a spot to strap a bedroll for an overnight weekend ride. Blacked Out Rims and Front Wheel: This bike rides on a big 21-inch spoked wheel up front and a 17-inch rim with 180mm tire out back for a custom, classic, well proportioned look. 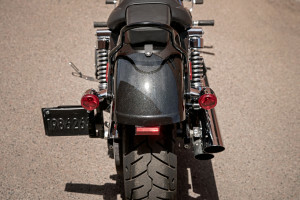 The Wide Glide® provides high speed stability and low speed maneuverability. It also offers plenty of customization for comfort and confidence. Adjustable Air Suspension: The rear adjustable air suspension makes it easy to dial in the comfort and handling style, all with just a simple wrench. From firm and precise to comfortable and plush, it’s up to you to set it up how you want. Michelin® Scorcher™ Tires: Michelin® Scorcher™ tires give you the sensational grip and long-haul durability that you expect from a race-bred tire. Plus, deep-cut tread provides added water evacuation for wet weather stability. 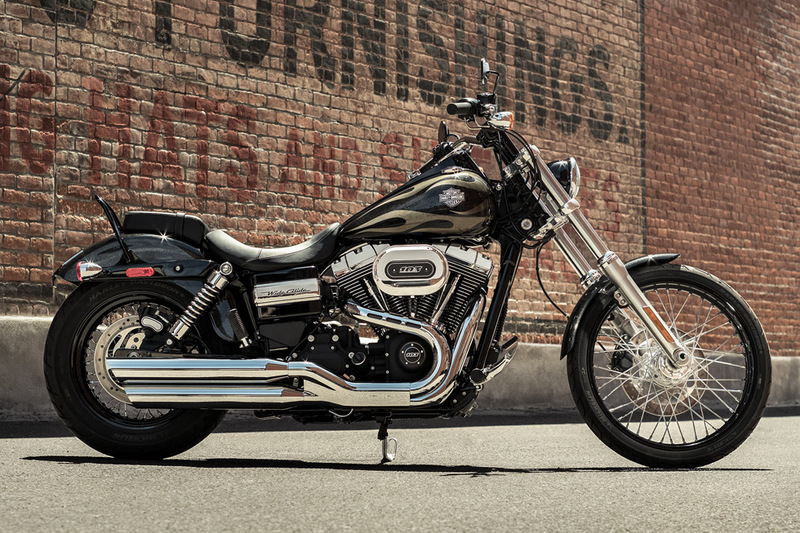 The Wide Glide is ready to hit the road and ride all day long, and the key to devouring mile after mile is comfort. Forward Mount Controls: The Wide Glide® features forward mount controls, allowing you to relax, kick back, and stretch your legs out. You’ll have a confident, upright riding position that’ll keep you in control mile after mile. 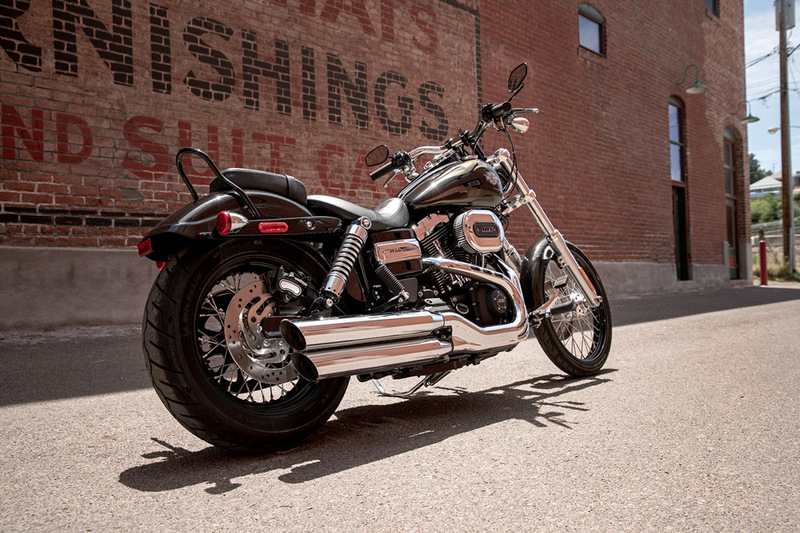 While the Wide Glide® provides classic looks, it also offers high tech features. 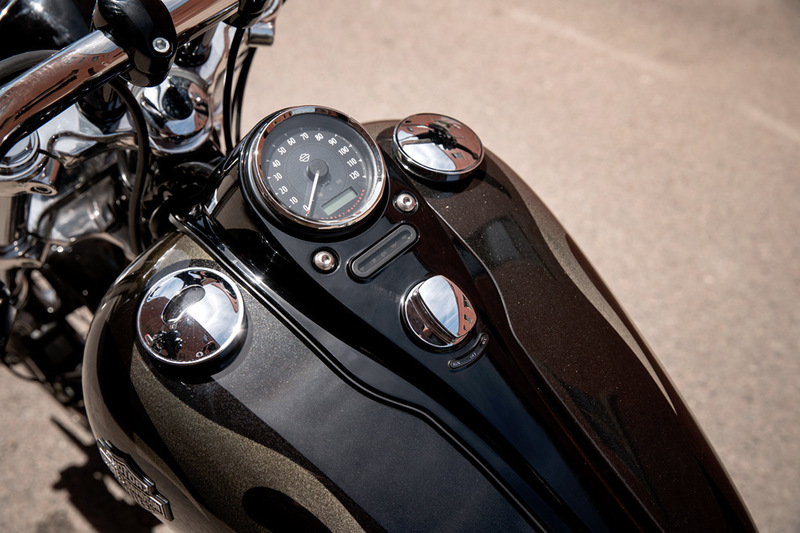 Standard Antilock Brakes: The Wide Glide® comes with antilock brakes standard. This means you can slow down with confidence, knowing your wheels won’t lock in slippery conditions. Plus, the low-profile system is located in the hub, so you can hardly see it. H-D® Smart Security System: If you want to protect your investment, consider picking up the H-D® Smart Security System. It includes a wireless key fob which activates the system when you leave the bike and reactivates it when you return.